This session is MANDATORY for those members who have not previously completed a capsize drill. This will include a swimming test wearing rowing kit/gym kit (approx 100 metres) and tuition on capsizing safely in the controlled conditions of an indoor swimming pool. Don’t forget to bring a change of clothes, footwear and a towel with you! 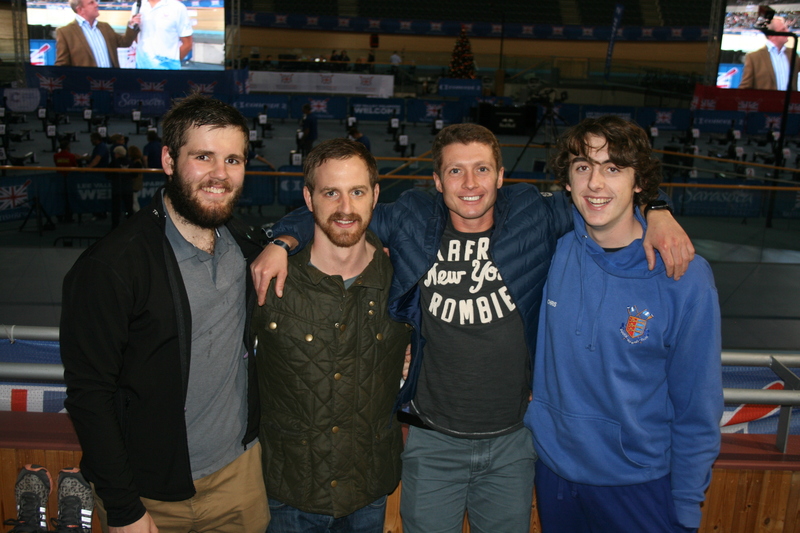 The weekend saw Dover Rowing Club compete at the British Indoor Rowing Championship held at the Lea Valley VeloPark. 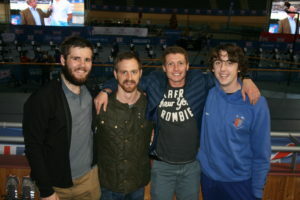 Dover entered 4 competitors, Chris Price, Guy Hadfield, Chris Hall and Robin McCorkell, and there was also a strong representation from the Coast Amateur Rowing Association in an event featuring several Great Britain Rio Olympic medalists. 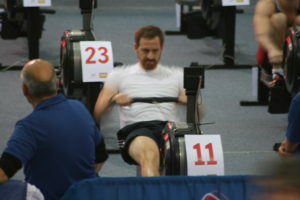 First to perform were Price and Hadfield in the Masters 30-39 Light Weight Men’s 2km class. First time competitor Hadfield went off strongly rating at 35 strokes over the first quarter, completing it in 1 minute 41.9 seconds pulling ahead of Price who managed a respectable 1 minute 48.8 seconds. During the mid 1000m Hadfield slowed a little whilst Price maintained consistent splits. Hadfield pushed hard in the last 500m pushing his stroke rate to 36 and finishing off with a 1 minute 43.1 second split to complete the race in a personal best time of 6 minutes and 56 seconds in 10th place. Price improved in his last sector to finish in 7 minutes 13.6 seconds, taking 15th overall. Chris Hall was next up in the highly competitive Sixth Form Boy’s 2km race. Hall had broken his personal best representing Dover Schools Area in the Kent Schools Games qualifying rounds earlier in the week and completed the first sector in 1 minute 42.3 seconds. 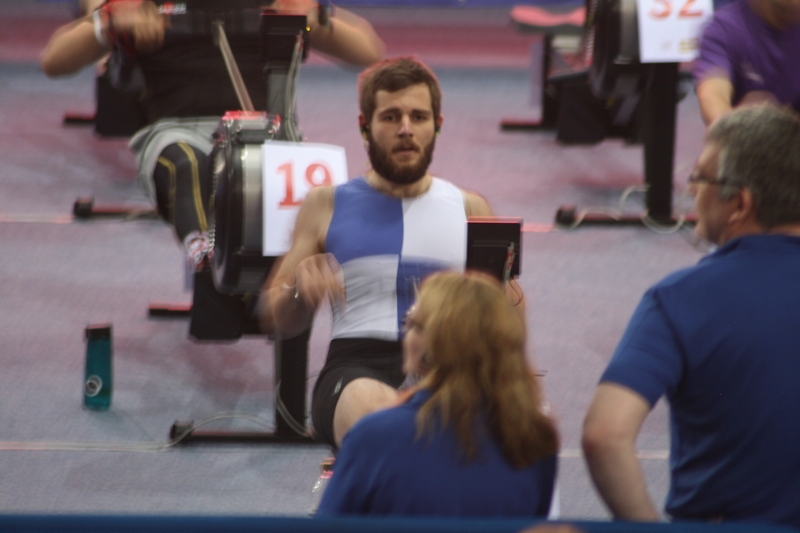 He felt his third sector had dropped behind his target for the day but pushed hard in the last 500m to break his personal best finishing in 6 minutes 55.8 seconds, 6th in his heat and 27th overall in one of the largest fields of the day. 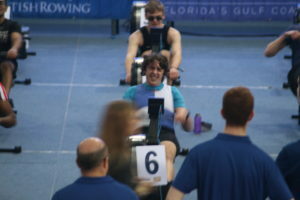 The final competitor was McCorkell racing in the Under 23 Men’s 2km. The Gonville and Caius student started comparatively slowly to the rest of the field leaving him in 11th after the first 250m but moved up the field steadily with his first sector split of 1 minute 36.8 seconds. He moved into 5th by 1250m where he entered a battle with a Royal Navy Rower switching between 4th and 5th place. Eventually McCorkell finished 5th in Dover’s fastest time of day, 6 minutes 28.1 seconds.